There are several things that can be done to reduce night sailing anxieties. Don’t let your fears deprive you of some of the most magical, never to be forgotten moments. Alone in the cockpit on a balmy, summers night, a school of dolphins playing in the phosphorescence around the bows as you ghost along under a full moon, can be exquisite. Sailing at night, especially for the first time, will be a time of trepidation and anxiety, which can spoil any magical moments. It can be cold, lonely, the time can seem to drag and staying awake can be a struggle. But there can be a number of reasons why sailing at night is either necessary or desirable despite any anxieties. It can make your cruising plans much more flexible. Take advantage of tidal gates. Lack of a suitable stopping place on a costal strip. Allow you to arrive at strange harbours in daylight, at dawn. Avoid long detours to find suitable anchorages. Or if you wish to cross a stretch of open ocean. So, here are some tips to help make those nights less stressful. Everyone should try some night sailing. There is no substitute for experience, start off gently, preferably with someone more experienced and with a short trip at night in home waters. 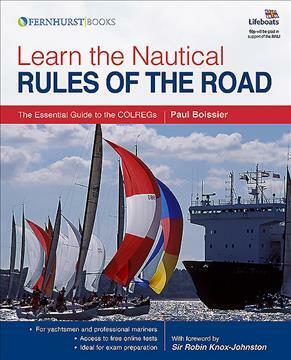 Most boating schools include night sailing within their programs. Then, having survived even that short trip you will hopefully feel more confident if you should get caught out or wish to try a more adventurous trip. As with any passage, night sailing should be planned in advance, preferably in daylight. Going over the charts, entering the waypoints in your GPS, making a list of lights etc will give you a clearer picture in your mind of the proposed route. Sailing in home waters to begin with will also give you an understanding of lights, etc and how things can appear different at night. It might also be helpful, if on your first trick on the helm at night, you have someone else keeping watch for other vessels while you focus at steering and navigation. If you can plan your first night sail for a time when the moon is full and you can see the stars in all their glory, it won’t, in reality make it any safer but it will be a more memorable experience. One of the biggest problems with night sailing is staying awake. This will be more of a problem in the early hours of one of those ‘magical, balmy nights’ when you are warm and comfortable. Experienced single handers get used to catnapping, waking fully aware between naps. For someone who is used to having their recommended ‘eight hours’ per night waking after a ten minute nap can be very disorientating. Not only can falling asleep when you are on watch be disorientating, it can also be dangerous, you may be far from any geographical hazards but it is surprising how quickly another vessel can come up from over the horizon. So, make sure that you get plenty of rest, preferably sleep while you are off-watch. Having a thermos of hot coffee, tea or hot chocolate and a few sweet, energy-boosting snacks will help keep you company, on a long watch. Time can seem to move very slowly when night sailing, in the dark, on your own. If you feel yourself drifting off you could try slapping your face or pinching yourself but that hurts, better to move around. It is tempting to huddle in one sheltered spot in the cockpit but changing position occasionally will help keep you awake and allow you a different aspect from which to keep watch, which after all is what you are supposed to be doing. Singing might help keep you awake but might not be appreciated by the off-watch crew. In some ways night sailing navigation can be more clear-cut than navigation in daylight. During the day, costal features can be difficult to distinguish, viewed from the deck of a small boat one headland can look very much like another. At night these headlands can be distinguished by the lights which mark them, each having their own distinctive light sequence. In the same way it can be easier to identify other vessels and their direction of travel for their navigation lights. Be sure to check your own navigation lights before setting off. And familiarize yourself with the lighting configurations of other vessels, and keep a reference guide handy. The caveat is that depth perception at night and the ability to judge distances, will be affected. Passage planning and pilotage plans are perhaps more important when night sailing. Do the planning during daylight hours but make the plans simple and easy to read so they can be referred to easily at night with low lighting. Pay particular attention to the weather forecasts, at night you won’t be able to see approaching clouds the way you can in the day. It has long been held that the best time to make land fall is at dawn. The reason being that the coastline can be better identified just before dawn by the lights marking it, then having established your position the harbour or anchorage can be approached as daylight increases. Nowadays with GPS to verify our position and with most harbours well marked by lights this is not quite as important. However, sometimes the hazards and channels are not well lit as they should be. And of course you will not be able to see any unlit objects such as crab pot floats, day markers and any other unlit buoys when night sailing. But what better way to end a night sail than to watch the day creeping up over a perfect land fall with the prospect of a safe anchorage in sight? These were my original opening remarks on preserving night vision. (Let’s start by debunking the myth about red lights preserving night vision. However, thanks to the comments from D a trainee eye doctor (you can read his full explanations here) I shall bow to his superior knowledge and accept that red light is better for preserving night vision. But, a red filter will affect how we perceive the colours on any paper chart we are trying to view. I still believe that it is much better to have a white light over the chart table that can be properly dimmed and is well shaded so you don’t look directly at the source of the light. Charts use colour codes to highlight between different aspects such as shallows and deep water so that they can be quickly identified, viewing a chart under a red light will alter how these are perceived making it necessary to either turn up the light or squint harder, neither of which will do much for your night vision. The less time your eyes are exposed to light and the dimmer the light the better. The ‘old wives tale about eating carrots isn’t a complete myth. Well, it doesn’t have to be carrots, spinach, dark leaf lettuce etc will do, just make sure that you are getting enough vitamin A and beta-carotene in your diet and keep you blood sugar levels up. You might be playing with your sleep cycles but don’t skip meals. How your eyes recover their night vision after exposure to light will depend on their general health. And the more you strain your eyes the longer they will take to recover. So, keep a small, dim, flashlight in your pocket, then if you need to locate something, perhaps you have dropped something in the foot-well, you can find it quickly with out eye strain. If you do use a spotlight to identify markers, use it sparingly and keep the beam up, away from reflective surfaces such as your decks and sails. Which brings me on to binoculars, they can be surprisingly useful at night for bringing into focus distant navigation lights. However, you will find that navigation and shore lights usually appear, to the naked eye, to be much closer that they actually are. Apart from the safety and navigation aspects of preserving your night vision, it is worth nurturing it so you can fully appreciate the natural glories of a night at sea. Far from the light pollution on shore, the shimmer of the stars and the flash of phosphoresce around in the bow and in your wake are something that land lubbers will never be able to appreciate. Sailing with a crew, whether night sailing or in the day will be more relaxed and enjoyable with if organised around a watch keeping rota. This doesn’t have to be anything elaborate and can be as flexible as you wish. Four hours is a common time spell for watches, however this can seem like a long time for inexperienced crew, particularly when it is cold dark and wet. There is no reason why watches should not be of two or three hour duration and if possible overlapping so that there are always two people on deck. But clearly this will depend on the number of crew available and the nature of the trip. While a single overnight passage without sleep may not seem to be too taxing, it is important to remember that if it ends with a difficult landfall that will be the time when the skipper will need to be most alert. Always wear a safety harness when night sailing. Make it a strict rule that everyone on deck and in the cockpit is clipped on to a jackstay or secure anchor point. Finding and retrieving a man overboard is difficult enough in daylight, virtually impossible at night. Have jacklines set up so that anyone moving about on deck can remain clipped on at all times. Wrap up well before going on watch, it can get very cold at night, it is better to stay warm and dry than to try to get warm again once you are cold. While it is very comforting to be surrounded by all the modern electronics, there is absolutely no substitute for keeping a good visual lookout. 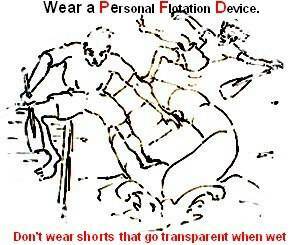 And that includes keeping a radio watch, always, keep your VHF radio tuned to Channel 16. And slow down, take your time, reef down, throttle back, night time is not the time to risk running into problems. Just sit back and enjoy the beauty of all that night sailing has to offer.